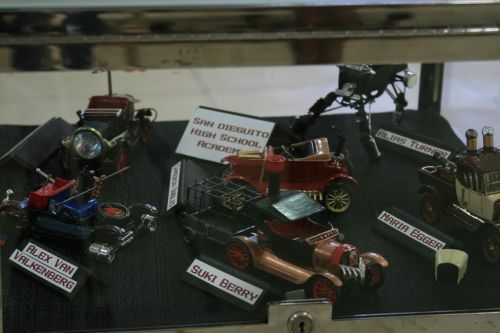 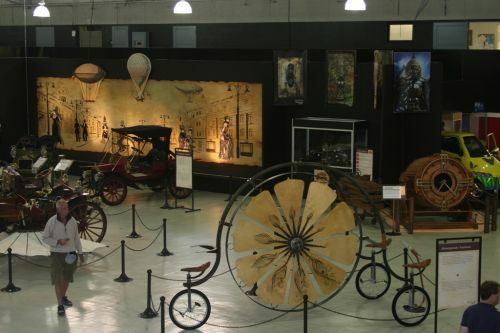 Steampunk – the Automotive Museum's version of the literary and artistic genre. 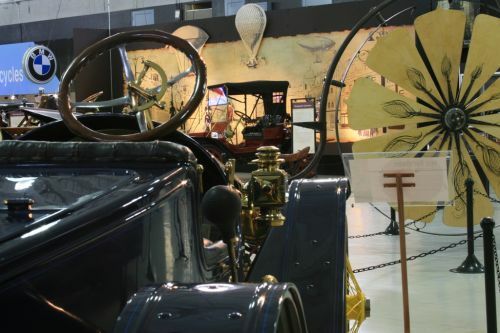 The Museum has collaborated with local artists, Starburner Galactic Courier Service, to interpret this growing art form through automotive design and technology. 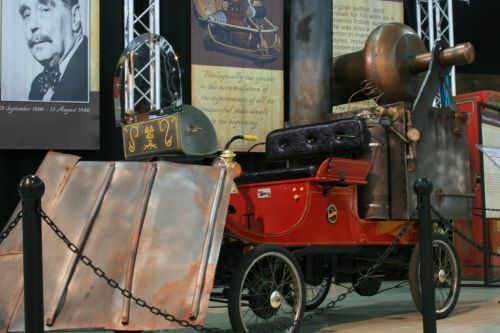 Several vehicles built in Steampunk style will be on exhibit including a few of the Museum's own vehicles modified in the Steampunk genre by our local 'makers'. 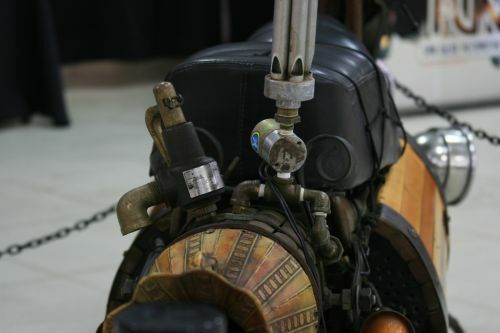 In addition, numerous art objects will be on view from clothing and everyday functional pieces, to graphic art and the music of the genre. 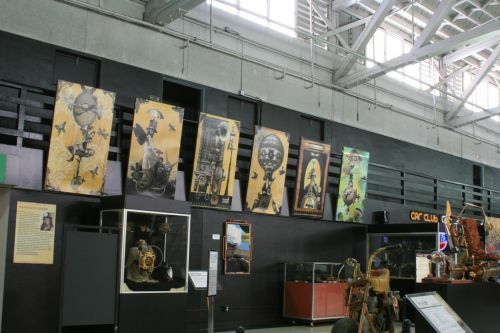 The artists come from San Diego, Los Angeles, and San Francisco. 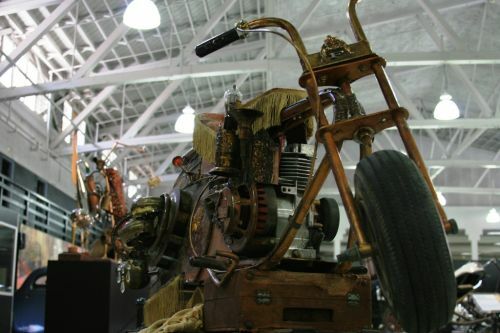 Steampunk is a genre which came into prominence during the 1980s and early 1990s and incorporates elements of science fiction, speculative fiction, fantasy, and alternate history. 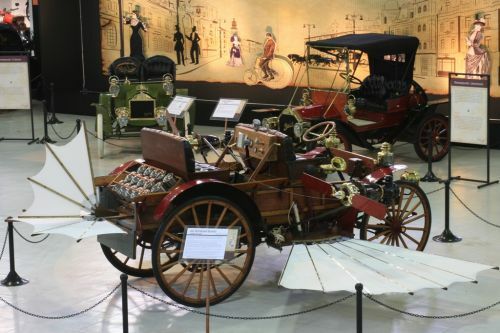 The settings are usually related to steam power and reflect the trappings of the early industrial revolution era prior to the implementation of electrical power. 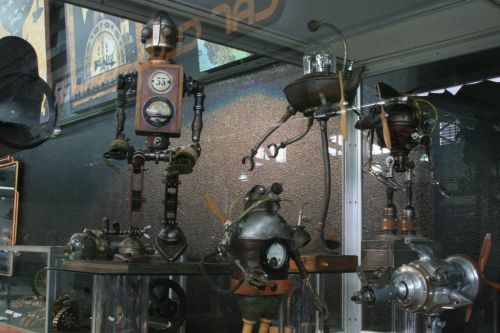 The term steampunk began as a tongue in cheek variant of "cyberpunk". 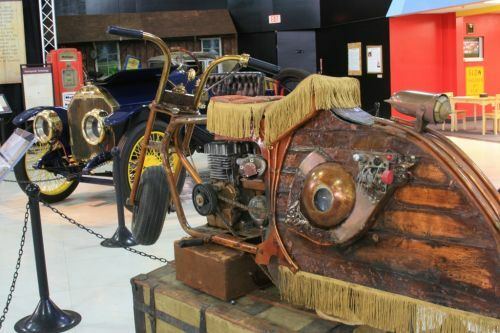 The Steampunk exhibit at the San Diego Automotive Museum is a clear step away from its traditional programming. 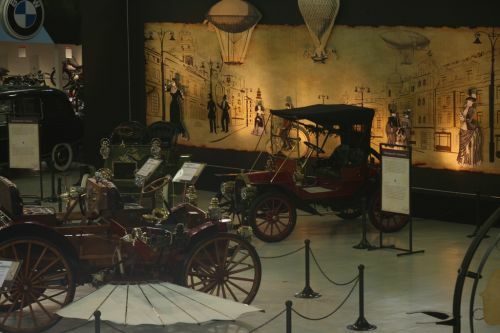 In keeping with its mission to illustrate the impact of the automobile on our society, this exhibit expands the parameters and brings to life the impact that steam engines and steam technology have affected the new culture known as Steampunk. 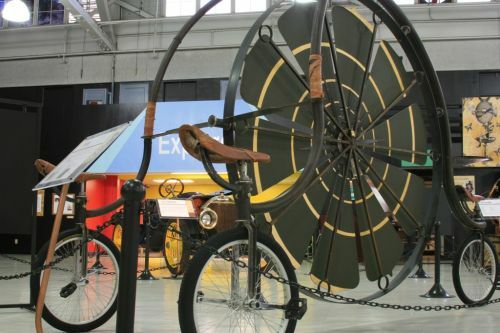 For the first time ever, the museum is incorporating clothing, gadgets, and gizmos that are not directly related to the automobile. 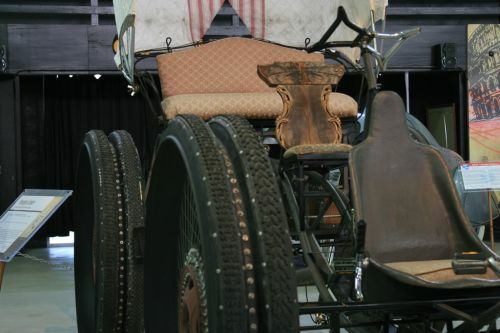 The focus of the exhibit is innovation, and non-traditional vehicles will be presented with classic examples of early automotive engineering and design. 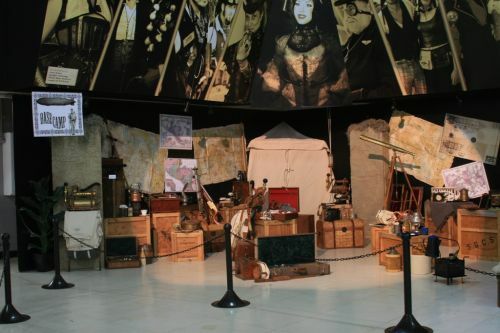 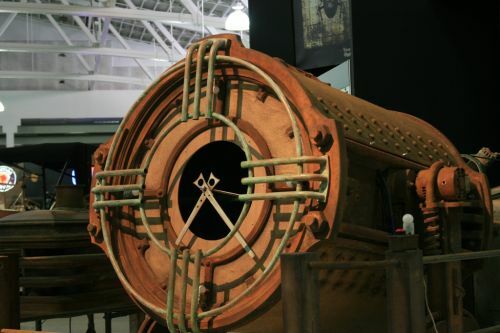 Steampunk will run from June 1 to September 30, 2012.